American National Standard AWWA C900-2016 – Polyvinyl Chloride (PVC) Pressure Pipe and Fabricated Fittings, 4 In. Through 60 In. (100 mm Through 1,500 mm) covers PVC pipes and fittings under the proportions specified by its title, with outside diameter (OD) dimensions that conform with either those of ductile and cast iron pipe (COID) or steel pipe (IPS). Published by the American Water Works Association (AWWA), the PVC pressure pipes and fittings addressed by this standard find purpose in the range of applications and interests that concern the nonprofit ANSI-accredited standards developing organization (SDO), being manufactured for conveying potable water, reclaimed water, irrigation water, wastewater, or any fluid compatible with nonplasticized PVC. The AWWA C900-2016 standard provides minimum manufacturing, verification, and marking guidelines for 4 inches through 60 inches PVC pressure pipe and fabricated fittings. Specifically, it is concerned with issues such as permeation, pressure tolerance, and quality control. AWWA C900-2016 is the sixth edition of ANSI/AWWA C900, which was first approved by the AWWA Board of Directors back in June of 1975. It contains several noteworthy changes from the previous edition, the most substantial being the expansion of pipe sizes covered within the standard. 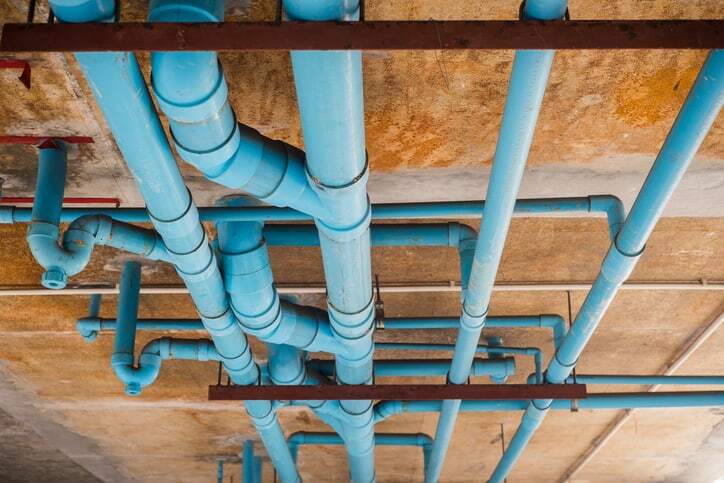 Previously, ANSI/AWWA C905 was only applicable to pipe sizes 4 inches to 12 inches, and any sizes above that amount were delegated to ANSI/AWWA C905. However, now that AWWA C900-2016 is applicable to polyvinyl chloride pressure pipe and fabricated fittings up to 60 inches, there is no more need for the AWWA C905 as a separate standard. In fact, the guidelines for these two standards were harmonized throughout the past several revisions. With these changes intact, the two were able to be merged, and they both now exist as AWWA C900-2016. AWWA C900-2016 – Polyvinyl Chloride (PVC) Pressure Pipe and Fabricated Fittings, 4 In. Through 60 In. (100 mm Through 1,500 mm) is available on the ANSI Webstore. Beyond this document, AWWA develops and publishes a variety of standards for the proper treatment, transportation, and storage of water, as well as other fields. AWWA standards are available on the ANSI Webstore.